What one can say about Manivannan, one of the most prominent character artistes produced by Tamil cinema or Writer par excellence or director who touched a variety of themes which created/changed the image of the actors who worked in those films? He started his innings as an assistant to Bharathiraja and went on to write nizhalgal, alaigal oivathillai for him which became major hits. His first film “Gopurangal Saivathillai” was a landmark in itself, immortalising the character ‘Arukkani’ played by Suhasini. To this date everyone remembers the hairstyle and mannerisms played by that character. It was a simple story told in Manivannan style with superb screenplay and dialogues laced with humour, remade in other languages as well. His mastery of suspense thrillers can be gauged from the fact that two films ‘nooravadhu naal’ and ‘24 mani neram’ released in 1984 are cult films. Some of the highlights of these films: tight screenplay, running time little over 2 hours, limited songs which take the story forward, excellent background music. Nooravadhu naal introduced Sathyaraj as the sidekick of Mohan who played a negative role who till then was playing only romantic roles. This film was remade in Hindi as ‘100 days’. He repeated almost the same star cast of Mohan, Sathyaraj and Nalini in ’24 mani neram’. Sathyaraj got better footage in this film and mouthed one of his most popular dialogue "en characteraiyay purinchika maatengareengalay" wrote by Manivannan which he often repeats in stage shows. This film was a turning point in Sathyaraj’s career. He has directed close friend Sathyaraj in around 25 films of the 50 films he has directed, 50th being Nagaraja Chozhan MA. MLA which is sequel to their 1994 hit ‘Amaidhipadai’ which was a political satire. The character of ‘Amavasai’ essayed by Sathyaraj in this film is still remembered by one and all for the brilliant manner in which the character was etched by Manivannan of the raise of a beggar to the seat of MLA and the interaction between him and Sathyaraj throughout the film which takes a dig on the politicians and their manipulative manners. To the present generation, he is known more as an actor than for his directorial pursuits. His later stint as a character artiste is noted by performances which will not be forgotten as he has lived as the character in these films notable being Mudaliar from Avvai Shanmughi, Side kick of Sathyaraj in Amaidhipadai, secretary of CM in Mudhalvan, father in Sangamam and Sivaji. Sir you will be remembered through the undying characters ( Arukkani, Amavasai, Vichu-Mary(Alaigal oivathillai), Kabali, mudaliar,etc.) which you have created in celluloid. 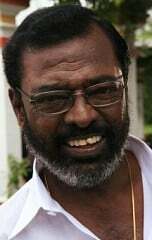 This page has information about Tribute to Manivannan, Manivanna, Satyaraj.